Employee Engagement; Are Your Employees Engaged or Loosely Connected? From the viewpoint of a professional recruiter who pursues critical talent, the question is: How engaged are your employees OR how open are they to leaving your company for another job? An engaged or a disengaged employee can look and act the same. They are professionals who are committed to doing their job well. They are not complainers or whiners,; they are doers. Obviously, these are some of the reasons that would make them attractive candidates. However, the difference between being loose or engaged is how they respond to an appealing job opportunity. The engaged ones simply say “Thank you but no thank, I have no interest in changing my job”. The loose ones say “Tell me more”. What happens to make an employee loosely connected? #1) Poor or non-existent recognition/reward program. a) The most common reward program comes in the form of bonus compensation. Too many bonus compensation plans have been developed to pay the employee a bonus when the business reaches or exceeds its financial goal. Most employees have little or no direct impact on the business hitting its goal. This type of reward seems arbitrary to many employees. b) For companies that implement a bonus/reward plan, their employees become loose and disenchanted when the employer does not pay the agreed to bonus due to a “technicality” or the employer pays it months after the bonus has been earned or the employer pays the bonus using fuzzy math intended to pay out a much lower amount. a) The most common form of a change of control occurs during a merger or an acquisition. From the employee’s viewpoint, the new company is not the same company that the employee once joined. b) Change of control for the employee also occurs when leadership/management has changed. When an employee has a new manager, it serves as a form of change of control and can become a time when the employee is loosely connected. a) Companies are in business to grow. Not all companies grow the same way. Sometimes it requires a change of direction and an unsettling experience for an employee. b) Companies not doing well have to make tough decisions including downsizing. This generates uncertainty and makes employees loosely connected. a) Personal issues can range from a divorce to an illness to an ill family member to substance abuse. b) The same issue applies when the manager of an employee faces the personal issues mentioned above. Employees go through their normal work life facing success and failure. With each success and failure, there is an impact of being glued or loose. Once a loose employee has really started the thought process that they could be better off working somewhere else, many times they will leave. In many instances, it could have been avoided by the employer. As the CEO or business leader, there is the responsibility to articulate and implement a business direction while insuring that your leadership team reinforces the company’s focus. Some managers do this better than others. What is the Key to Employee Engagement? 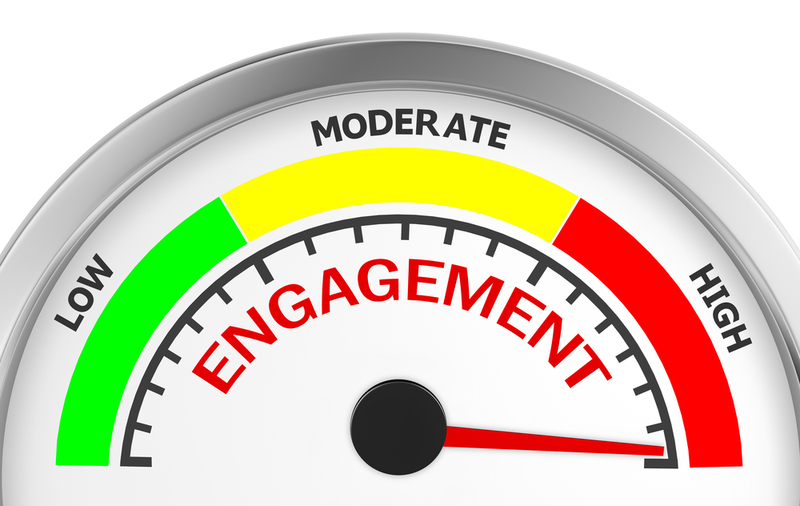 An engaged employee is an interactive employee. Remember, business does not occur in a vacuum. The leadership of a business is responsible to set the tone and the direction. Good engagement involves the establishment of specific employee goals and a dialogue between employees and leadership about the completion of the defined goals. This interaction should offer insight or a reveal of the employee’s attitude about their work and their job. In other words, the aligned business that has defined measurable goals and measurable rewards for each employee is engaging it’s employees. It is a natural aspect for employee’s to go through phases of being loose or engaged. · As a CEO or business leader, are you aware of the triggers that can make your employee loosely connected to your business? · Are you measuring and rewarding your employees based upon their responsibilities?